I was that weird foreigner in the grocery store. Ian and I did our grocery shopping at Budgens while I was in Cambridge, which was a serviceable but not stellar place to get our food. I’m really excited to go to the big Tesco’s & Sainsbury’s (just so we’re clear, I am not being sarcastic. I am genuinely excited to go to the grocery store. 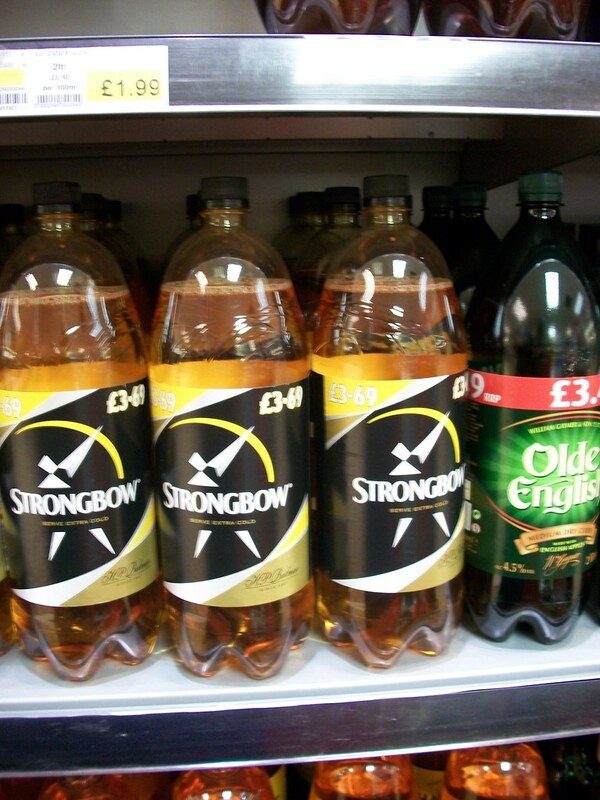 I once spent over an hour in a corner market in Vienna, for which Toby Lowenfels has still not forgiven me, and I never missed a chance to hit up a Thai convenience store when I was there. It’s seriously fascinating). Shockingly, I am not the first to notice. There is even a “tastes like homo” Facebook page. I mean seriously. Could that be any more phallic? Giant plastic soda/malt beverage bottles, obviously. 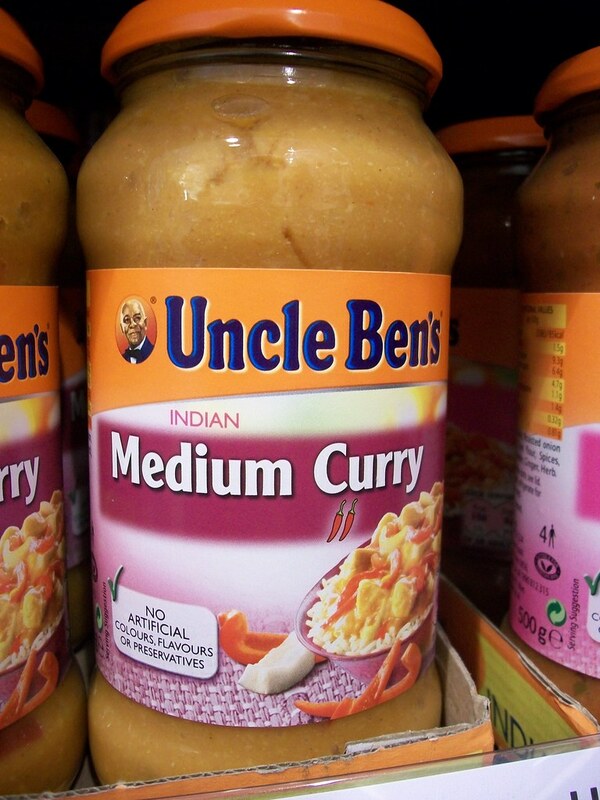 Uncle Ben is a lot more wordly than I gave him credit for. Did I miss any good ones? I’m sure there will be more once I hit up the bigger & better grocery stores. One of the best ways to get to know a country and its people is to go grocery shopping. One of the first things on my list when I go somewhere new. 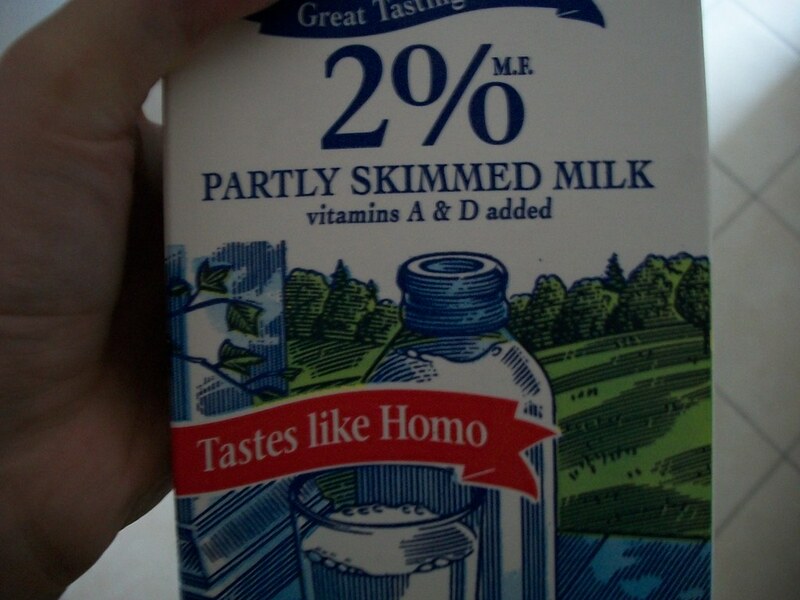 I grew up on Homo milk; don’t make fun of us Canadians!